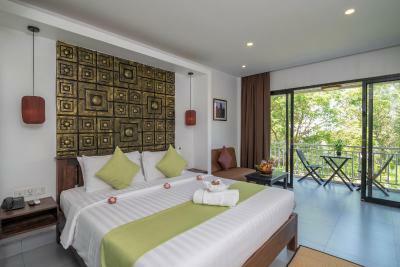 Lock in a great price for Ladear Angkor Boutique – rated 9.1 by recent guests! We really love the ambiance and the hotel facilities such as the pool, the restaurant and the spa. 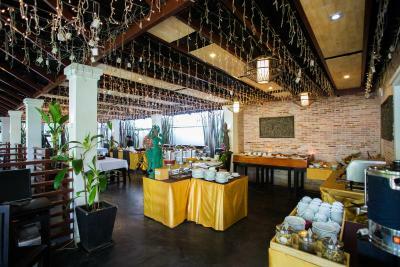 The staffs were all friendly, especially Mhony Khay from the reception area. She exceeded our expectations and did an extra mile to help us lend all the things we need since my friend is celebrating her birthday that day. Everything went well while were staying there. Will definitely recommend this place. Thumbs!!! Absolutely Fantastic. Could not fault the place. From the second we pulled up we were greeted with friendly faces, cold towels and a delicious welcome drink. Everything at check in was explained well and they were ready to help with any questions we had. they even allowed us to check in early as our night bus had arrived before the official check in time. The rooms are beautiful and very clean. The restaurant food was fab and the free 30 minute foot massage at the spa was the icing on the cake. We could not recommend this hotel more if we tried. We are already planning when we can come back. What a pleasure!!! I really liked the staff. They were courteous and ready to assist guest. The staff was incredibly friendly and did their best to help us make arrangements and book our activities. They offered us complimentary pickup from the airport and a 30 min welcome massage upon our arrival. We felt so welcomed by the staff. Everyday was filled with positive exchanges with all staff. The owner of the hotel should be very proud of the staff as they go well beyond the call of duty to make you feel special. Very friendly and helpful staff at the reception. 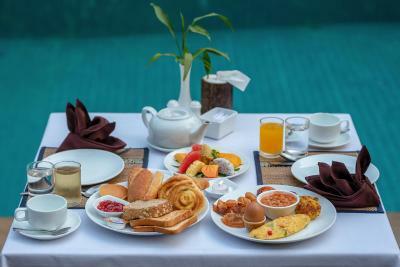 Delicious food (room service). Has 2 pools, so serene. Offers 30mins complimentary foot massage to gueses. Ovrall, very good value for money. Very helpful staff, helped arrange a Tuk tuk for Angkor wat touring with an English speaking tour guide. 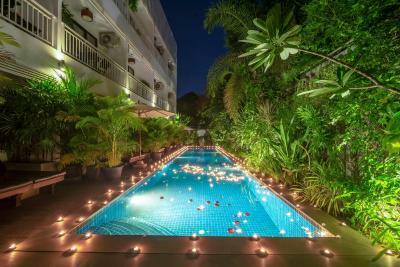 Beautiful hotel with two pools, good restaurant and spacious rooms. Great helpful staff! Got us a room to get ready in as our room was not ready. We also got a free 30min foot massage on the house which was a great perk to start of our trip. 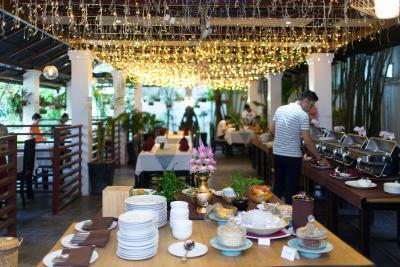 The breakfast was also good and the hotel location was great, just a 20min walk to pub street. 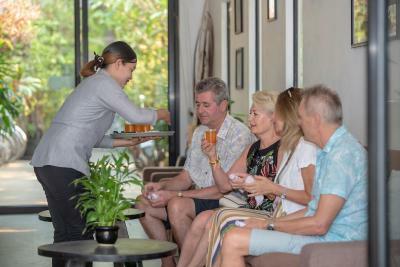 Truly enjoyed the staff, who were very welcoming and assisted with many questions regarding organization of your plans for the day, shopping and were knowledgeable about the temples in Siam Reap. Mony was our favourite, working at the front desk and throughout the hotel. 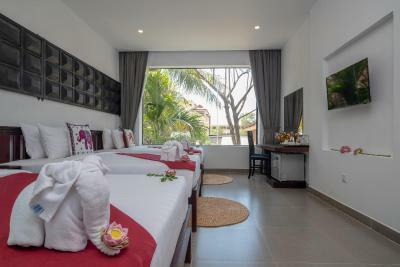 Ladear Angkor Boutique This rating is a reflection of how the property compares to the industry standard when it comes to price, facilities and services available. It's based on a self-evaluation by the property. Use this rating to help choose your stay! 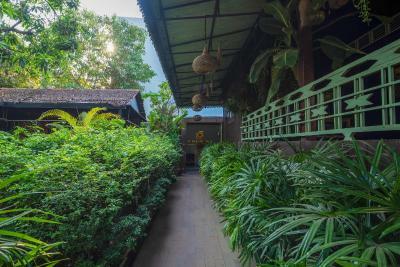 One of our top picks in Siem Reap.Nestled in peaceful location amid private gardens, Ladear Angkor Boutique offers elegant and comfortable accommodations away from the hustle and bustle of Siem Reap. 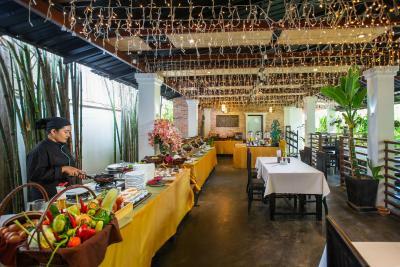 It features two outdoor swimming pools and guests can enjoy meals at the in-house restaurant or have a drink at the Ladear Bar or a pool bar. Free WiFi is available throughout the property. 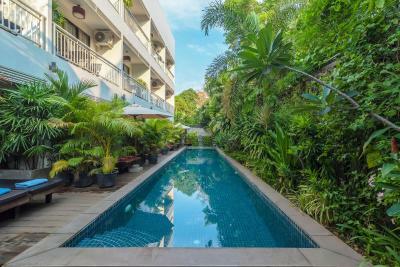 Conveniently located within a walking distance to tourist attractions, local restaurants and shopping areas, the property is just 2,650 feet from the vibrant Pub Street, Old Market and Angkor Trade Center. The Angkor Wat temple complex is 4.2 mi away, while Siem Reap International Airport is accessible within a 5.6 mi drive. 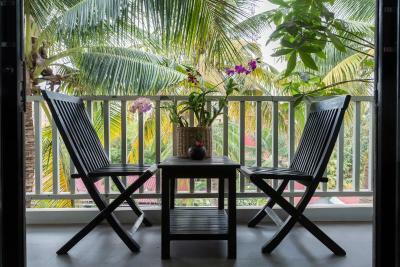 The property offers complimentary pickup or drop off services for one way from the airport, bus station and ferry port. 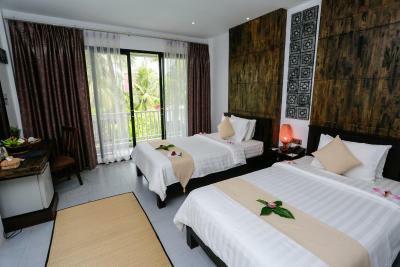 All stylish air-conditioned rooms feature a private balcony with a lounge area for relaxing or dining. 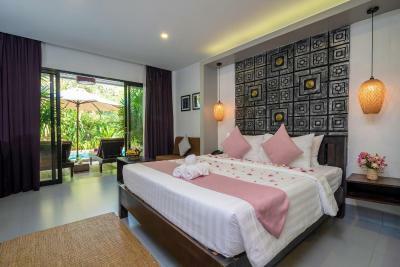 It also opens up to views of the two swimming pools and the tropical garden. 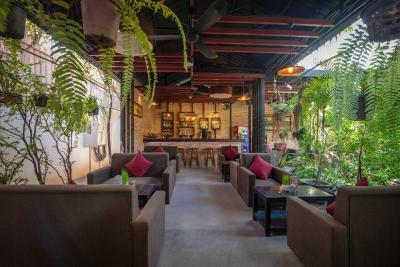 The seating area is fitted with a flat-screen TV, mini-bar, a writing desk and a safe. 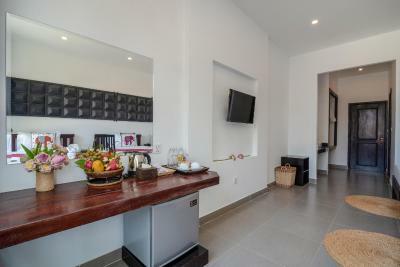 For guests' convenience, there are a walk-in closet, an electric kettle with tea/coffee amenities, free bottles of water, bathrobes, free toiletries and slippers in all rooms. 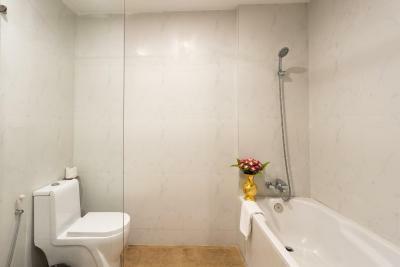 The private bathroom includes towels, a full set of bathroom amenities, shower facility and a bathtub. 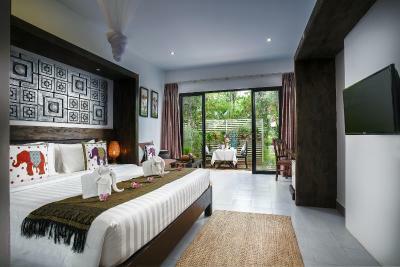 When would you like to stay at Ladear Angkor Boutique? 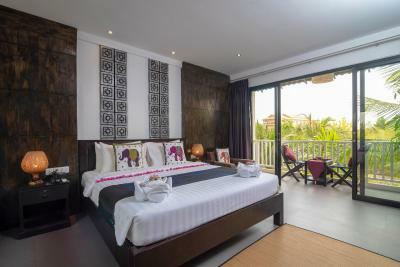 This air-conditioned double room features a private balcony that has chair and table for relaxing and dining and opens up to views of the swimming pool and tropical garden. The seating area is fitted with a flat-screen TV, sofa and writing desk. 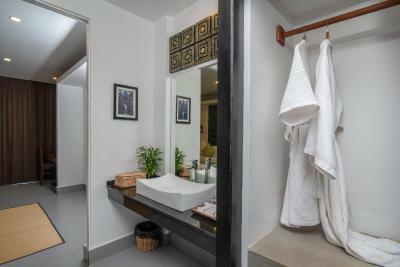 The private bathroom includes shower, a hairdryer, a full range of bathroom amenities and free toiletries. 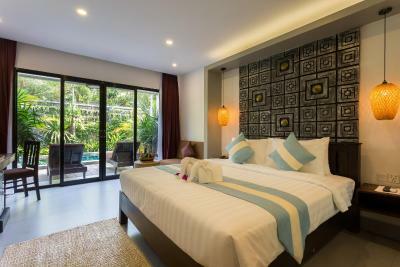 This air-conditioned twin room features a private balcony that has chair and table for relaxing and dining and opens up to views of the swimming pool and tropical garden. 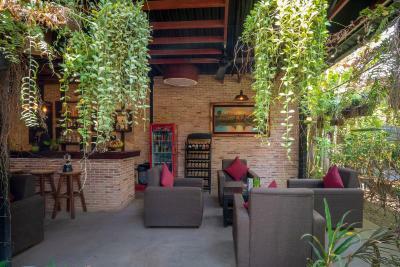 The seating area is fitted with a flat-screen TV, sofa and writing desk. The private bathroom includes shower, a hairdryer, a full range of bathroom amenities and free toiletries. 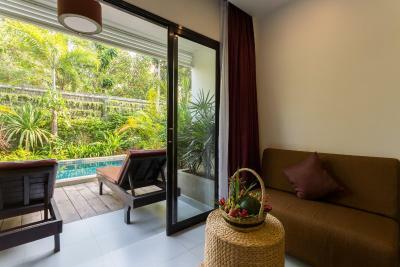 This air-conditioned cabana suite features a private balcony that has chair and table for relaxing or honeymoon dining and offers direct access to the swimming pool. The seating area is fitted with a flat-screen TV, sofa and writing desk. The private bathroom includes shower, a hairdryer, a full range of bathroom amenities and free toiletries. 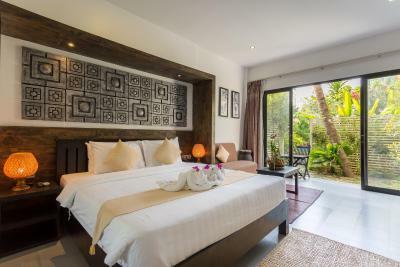 This air-conditioned double room features a private balcony that has chair and table for relaxing or dining and opens up to views of the swimming pool and tropical garden. The seating area is fitted with a flat-screen TV, sofa and writing desk. The private bathroom includes shower and bathtub facilities, a hairdryer, a full range of bathroom amenities and free toiletries. 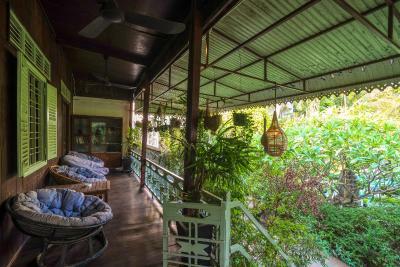 This air-conditioned villa features a large private balcony that has chair and table for relaxing or dining and opens up to views of the swimming pool and tropical garden. The seating area is fitted with a flat-screen TV, sofa and writing desk. The private bathroom includes shower, a hairdryer, a full range of bathroom amenities and free toiletries. 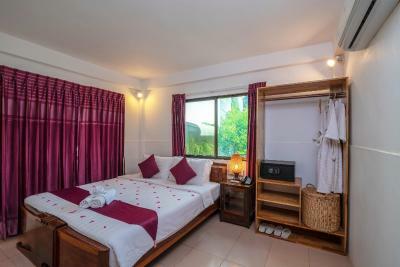 This air-conditioned twin room features a private balcony that has chair and table for relaxing and opens up to views of the city. The seating area is fitted with a flat-screen TV, sofa and writing desk. The private bathroom includes shower and bathtub facilities, a hairdryer, a full range of bathroom amenities and free toiletries. 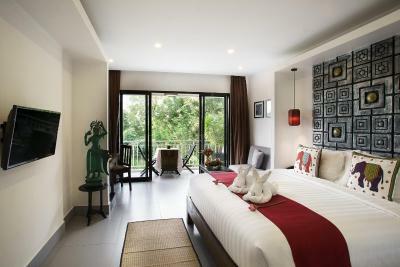 This air-conditioned double room features a private balcony that has chair and table for relaxing and opens up to views of the city. The seating area is fitted with a flat-screen TV, sofa and writing desk. The private bathroom includes shower and bathtub facilities, a hairdryer, a full range of bathroom amenities and free toiletries. This air-conditioned family room features a private balcony that has chair and table for relaxing and opens up to views of the city. The seating area is fitted with a flat-screen TV, sofa and writing desk. The private bathroom includes shower and bathtub facilities, a hairdryer, a full range of bathroom amenities and free toiletries. This room has 1 king-size bed and 1 extra bed. 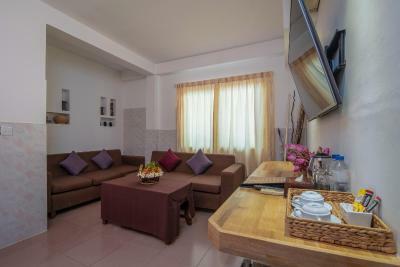 This air-conditioned double room features a private terrace that has chair and table for relaxing or dining and opens up to a private garden. The private bathroom includes shower and bathtub facilities, a hairdryer, a full range of bathroom amenities and free toiletries. This air-conditioned triple room features a private balcony that has chair and table for relaxing and opens up to views of the city. 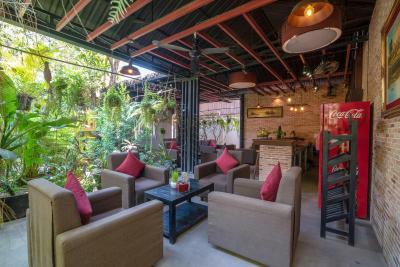 The seating area is fitted with a flat-screen TV, sofa and writing desk. This triple room has 2 twin beds and an extra bed. The private bathroom includes shower and bathtub facilities, a hairdryer, a full range of bathroom amenities and free toiletries. 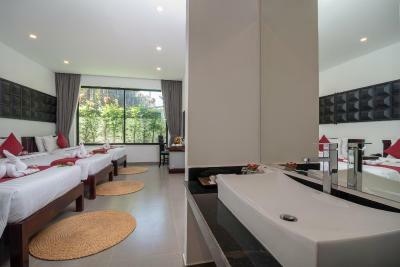 This spacious air-conditioned room features a private balcony that offers direct access to the swimming pool. It is fitted with a sofa, desk and a flat-screen TV. 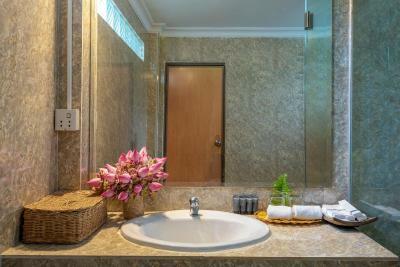 The private bathroom includes shower and bathtub facilities, a hairdryer and free toiletries. Ironing facilities are also available. 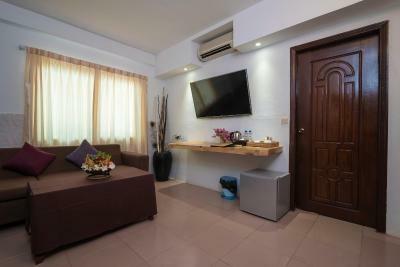 This air-conditioned villa features a flat-screen TV and a writing desk. The private bathroom comes with a shower, a hairdryer and free toiletries. 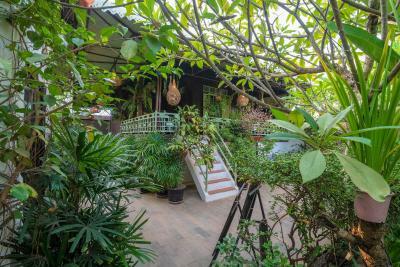 House Rules Ladear Angkor Boutique takes special requests – add in the next step! Ladear Angkor Boutique accepts these cards and reserves the right to temporarily hold an amount prior to arrival. 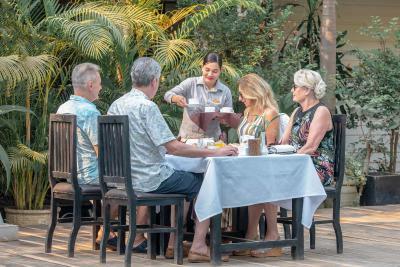 Please note that the property offers complimentary one-way pickups from Siem Reap International Airport, bus station or boat pier by remork or minivan (subject to availability). Guests are required to provide arrival details in advance by using the Special Requests box available. Please note that complimentary use of bicycles are subject to availability. 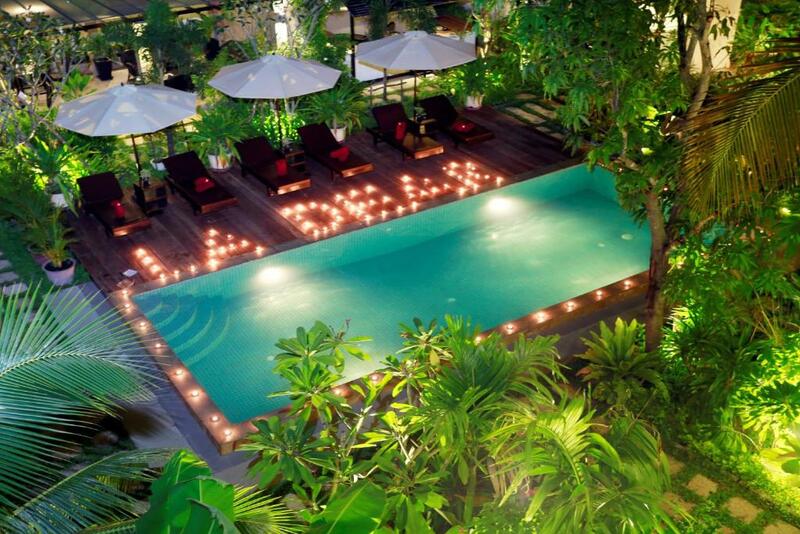 Please inform Ladear Angkor Boutique of your expected arrival time in advance. You can use the Special Requests box when booking, or contact the property directly using the contact details in your confirmation. The shower didn’t get as hot as I would have liked, but it was so minor there was no interruption to my pleasant stay. The staff was so helpful and genuinely went above and beyond. I had delayed luggage, and they were very accommodating to my needs and requests. I needed transportation to a different province late in the day, and the manager personally arranged and attended to my transportation. The location is quiet and lovely. The room was nicely decorated and comfortable. 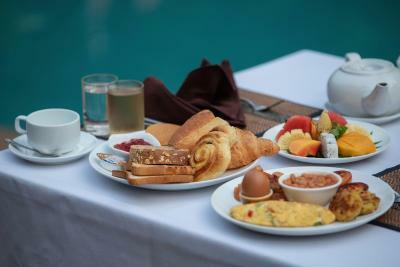 The breakfast had many options, both Western and Eastern. I will definitely stay here again! Nice hotel, good service and very helpful with explaining tours etc to Angkor Wat. Good value and no complaints from us. We didn’t get what we paid for. Overbooked. It was a very nice place to stay. The staff is super friendly. 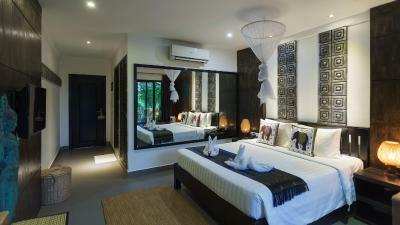 I recommend it to any traveler that's looking for some confort in Siem Reap. Staff very helpful. Great breakfast and location. Only thing I like was staff, they were very kind.